BMG. BACK ISSUE. AUTUMN 2014. Location: /Accessories/Guitar/Slides/DUNLOP HEAVY/MEDIUM CONCAVE BRASS GUITAR SLIDE. 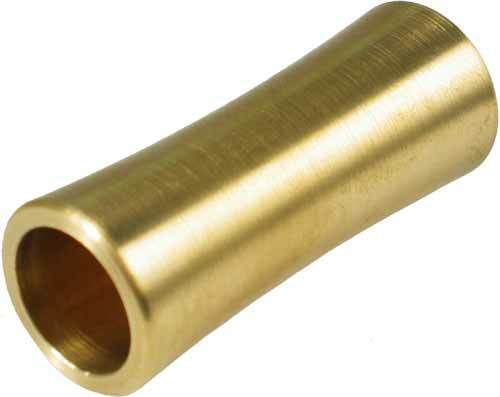 Solid brass slides are favoured by acoustic and electric players alike for their comfortable weight and mass. Solid brass provides a warmer and darker tone than chromed brass or steel slides, but sounds brighter than glass or ceramic slides. 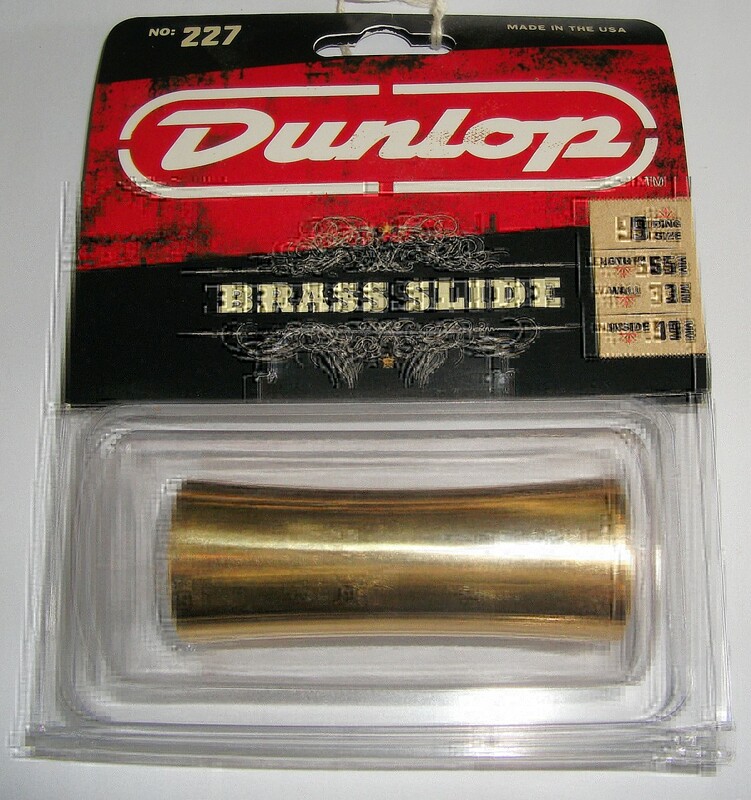 Solid brass slides are a versatile choice that can be used for all styles of slide playing. Length : 65mm. Wall : 3mm. Inside : 19mm.